Heading to the doctor for every infection can be expensive. In addition, KidsHealth warns against the dangers of over exposing children to antibiotics. "Taking antibiotics for colds and other ... illnesses not only won't work, but it can also have dangerous side effects-- over time, this practice actually helps create bacteria that are harder to kill." Apply tea tree oil directly to the skin. This oil can be used to cure skin infections like acne, fungal infections, lice, scabies, athlete's foot and burns. In addition, you can apply this oil as an antiseptic for vaginal infections, stings, boils, and toothaches. Natural chemicals in tea tree oil help kill bacteria and fungus, according to WebMD. Oregano oil is another natural way to tackle bacterial infections. Oregano oil contains carvacrol and thymol, both of which offer antibacterial and anti-fungal benefits, according to Dr. Axe. While you can take this oil orally, it's best to dilute it with coconut oil or water, according to Dr. Axe. If you are pregnant, talk to a doctor before consuming. If you are looking for a natural treatment for bedwetting, Thyme may be your answer, according to Medical News Today. This oil can also help treat diarrhea, colic, sore throat and a cough. This herb has been used in healing since the time of Hippocrates (460BC). This oil contains a load of thymol, a compound that destroys bacteria. 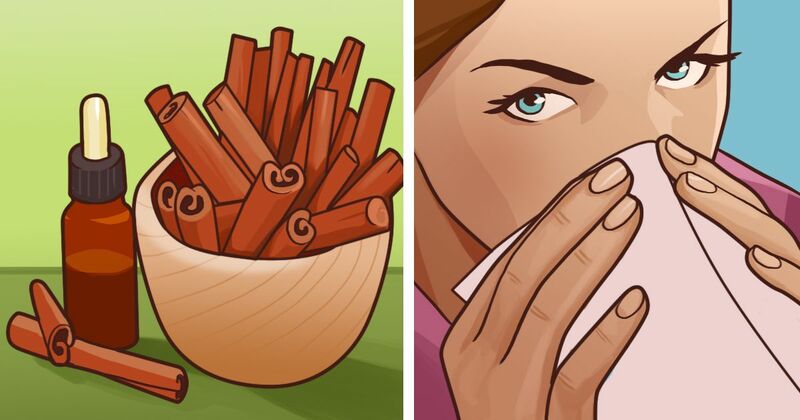 Besides smelling like Christmas morning, cinnamon hosts a variety of other benefits. The use of cinnamon dates back to the time of Egyptians who used it as a medicine and balming agent. Common medicinal uses for Cinnamon leaf oil include use as a facial scrub, mouthwash, foot soak and insect repellent. Mercola also recommends adding some to your shampoo to help kill lice! The smell of Eucalyptus oil is distinctive, making it a popular ingredient in perfumes. In addition, Eucalyptus oil works as an effective germ killer. Natural News recommends heating a two percent mixture in an oil burner to kill up to 70 percent of some bacterias in the room. Other uses for this oil include use as an anti-inflammatory, decongestant, diuretic and body coolant. If you have an upset tummy, ginger may be the answer. Ginger ale is a common recommendation for pregnant women and individuals suffering from the flu because ginger contains properties that help relieve nausea. The same is true for Ginger root oil. In addition, this Indian spice is used to cure heat stroke, reduce inflammation and aid in respiratory problems, according to Organic Facts. Ginger oil is very strong. Blend with other oils or use small amounts. The benefits of grapefruit oil are not as loudly touted as some of the other oils, but this natural healer can be used to aid in weight loss, ease symptoms or arthritis and cancer and aid in the treatment of psoriasis. You can take this oil by mouth (to help reduce fungal infections), apply it to the skin to ease sore muscles or heat the oil to help ease headaches and symptoms or stress relief, according to WebMD. As of June, 29 states (and Washington D.C) have legalized marijuana for medicinal use, according to the National Conference of State Legislatures (NCSL).